Dr. Mark Hablinski has been practicing orthodontics in Houston for over 35 years. He is dedicated to his work and to his patients. Dr. Hablinski’s practice philosophy is to provide his patients with healthy, beautiful smiles in the shortest amount of time and using the most comfortable, safe procedures possible. Dr. Hablinski enjoys seeing how his patients gain more confidence as they move through their individual orthodontic experiences. To learn more about Dr. Hablinski and his orthodontic practice, find him on Google+. After serving in the United States Army for three years, Dr. Hablinski put himself through advanced schooling in order to become an orthodontist. He attended the University of Texas at Austin where he earned a Bachelor of Arts degree. He then went on to attend the University of Texas Dental Branch in Houston, graduating with a Doctor of Dental Surgery (DDS) degree. He completed his Master of Science degree in Orthodontics also at the University of Texas Dental Branch in Houston. Dr. Hablinski is also board certified as a Diplomate of the American Board of Orthodontists. Continuing education is an important part of Dr. Hablinski’s work as an orthodontist. He is committed to receiving continuous training in orthodontics, and he belongs to several study clubs and professional organizations that provide continuing education opportunities. Serving people is not just an orthodontist’s job; it is also one of Dr. Hablinski’s basic, moral Judeo-Christian principles. Serving others and giving back to the community gives Dr. Hablinski a great sense of joy and satisfaction. On Fridays, Dr. Hablinski volunteers at Palmer Memorial Episcopal Church serving the homeless. He also acts as an usher during church services on select Sundays. Dr. Hablinski is also a member of the teaching staff in the Orthodontic Department at the University of Texas Dental Branch in Houston and enjoys participating in charity cases when the opportunity arises. He hosts informal Invisalign® chats with his dental colleagues, which serve as a great learning opportunity for all who are involved. Lastly, Dr. Hablinski is proud to have mentored two fine young men who now have thriving dental practices in Houston. 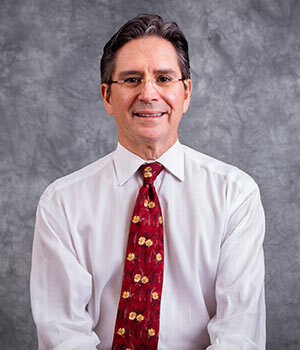 Dr. Hablinski is originally from Carlsbad, New Mexico, and he has lived in Houston since 1996. He and his wife, Dorothy, are proud of their six grown children. His oldest daughter, Mariann, is married and works as a teacher. Hallie is a graduate of the University of Texas at Austin, and works for a non-profit organization in Houston. Phillip attends the University of Texas and is presently in a pre-dental major. Dorothy’s oldest child, George, has a newborn boy. She also has twin daughters: Ali graduated from SMU Law School and Leslie completed a graduate program at the University of Texas at Austin. When he’s away from the practice, Dr. Hablinski enjoys spending time with his family, golfing, auto cross, and visiting museums. Find out more on Dr. Hablinski’s Google+ page!